Blockchain- I hear this word and my mind automatically conjures up images of huge iron blocks linked together by heavy chains- perhaps subconscious visualization of anchor chains from my days in the Merchant Navy more than two decades ago. Metaphorically close enough actually- Think of blockchain as a huge, digital anchor cable- a bunch of data stored in pieces called blocks that are linked securely using cryptographic code. Today blockchain has become like what the Internet was in the mid and late nineties- Most have heard of it, few know how it actually works but everyone has an opinion on it. The layperson identifies blockchain with cryptocurrency, mainly Bitcoin-which has become synonymous with cryptocurrency, its lesser known cousin Ethereum and a motley bunch of others. The application of blockchain outside cryptocurrency is a relatively grey area to the average person. Blockchain 2.0, the fancy moniker for its second coming, includes applications of blockchain to areas like smart contracts, copyright tracking and microtransactions. But among all the use cases for smart contracts, real estate is perhaps the most compelling one, purely because of the sheer potential and need for disruption. Since this article is aimed at highlighting the benefits of smart contracts to the Real Estate sector, I will refrain from getting into the technical aspects of how they work, of which I must confide, I do not know much. Smart contracts are essentially, self-executing contracts supported by blockchain based protocols, created mainly on the Ethereum blockchain. The transaction is between buyer and seller cutting out intermediaries completely. The agreement between the parties is then written into code and only the signatories will have access to the details in it. Most transactions involve paperwork, including a contract between the buyer and the seller. This usually involves middlemen like brokers, lawyers, notaries etc. Real Estate transactions are especially notorious for their time consuming, paperwork intensive procedures. Now imagine a transaction that happens without any intermediaries, is much faster, secure, transparent and most importantly, immutable and therefore fraud-proof. That, in a nutshell, is what a smart contract does. This contract cannot be modified without both signatories knowing and agreeing on it. Once the terms of the contract are met in full, blockchain protocols initiate payments automatically. Every transaction is transparent, secured, traceable, and irreversible. Today, most real estate systems and processes operate in isolation and information is scattered across disparate sources of data. This consequently results in duplication of records, redundancies, repeated tasks and a general opaqueness. Most decisions are taken based on data sets which deny real-time intelligence. Quite obviously, smart contracts could be the biggest disruption the Real Estate sector has seen in a long time. No intermediaries: A real estate transaction or contract negotiation involves financial institutions, brokers, state and central government entities, notaries etc. smart contracts can potentially take over some or all of these functions. This can result in significant savings for both the buyer and the seller. Rapid transaction time: If you have ever bought property you will know the process can be truly painful and slow due to regulatory bottlenecks and approvals required. While blockchain and smart contracts may not immediately speed up local governmental procedures, they could substantially quicken the process of verification and processing of ownership. Affordability: Most high-end property is out of reach for the average investor. Blockchain and smart contracts can empower people from all income brackets to invest in small fractions of these properties. Blockchain technology facilitates this kind of micro-investment through a concept called tokenization where the rights to a real world asset is converted into digital tokens and sold to one or many shareholders. Fraud Protection: When you use smart contracts the property records on blockchain and the contract itself are permanent and immutable. This means altering them in any fraudulent manner is impossible and transactions are transparent to everyone involved. Property sale will be fully electronic and secure. Convenience: After all convenience is the most desired byproduct of any innovation. With smart contracts we will have electronic leases which will withdraw rents and other charges automatically, securely and without the possibility of any manipulation or fraud. Personal data like background, credit history etc. are stored securely in the form of electronic records making verification of buyers/sellers seamless and fast. At the end of 2107, UK based Real Estate advisor Savills had pegged the value of all property globally (Commercial, residential, forestry and agricultural) at approximately around $280 trillion, of which residential property alone accounted for about 80 percent. When an asset class is this big and this “economy impacting” it is important we use technology to improve existing processes and eliminate inefficiencies to make it attractive and easy for everyone involved. While the banking and financial sector has, by far, been the biggest investors and adopters of blockchain, biggies like Google and Facebook are increasingly investing heavily on blockchain based solutions. According to a CBInsights report Google was the second biggest corporate investor in blockchain companies, just behind Japan based SBI Holdings. The next couple of years are watershed for blockchain technology and its applications. It is important governments across the world take quick and positive steps towards adopting and regulating this relatively nascent, immensely promising technology. The last few weeks have seen encouraging moves by some governments- The Italian House of Representatives has approved a bill defining distributed ledger technologies (DLT) such as blockchain. 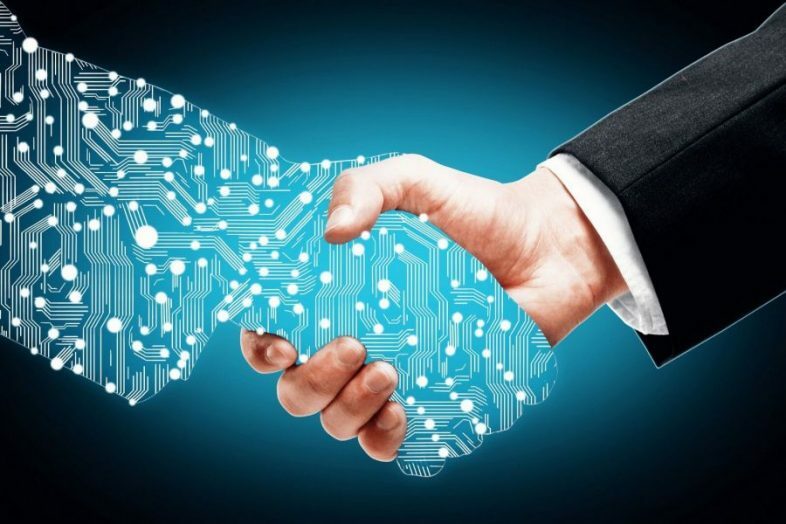 The Agenzia per l’Italia Digitale will now define the technical criteria that smart contracts will have to comply with in order to have legal validity. This bill also establishes that digital records stored on blockchain will be considered a legal validation of documents at the time of registration. Italy along with France, Spain, Malta, Cyprus and Portugal signed an agreement in Dec 2018 to adopt distributed ledger technology to enhance efficiency and transparency in governance and bring accountability to their citizens. While these are positive signs, most governments have taken the wait and watch route. But the writing is clearly on the wall- while it is not an adopt or perish scenario just yet, you don’t need great powers of clairvoyance to see where things are headed.